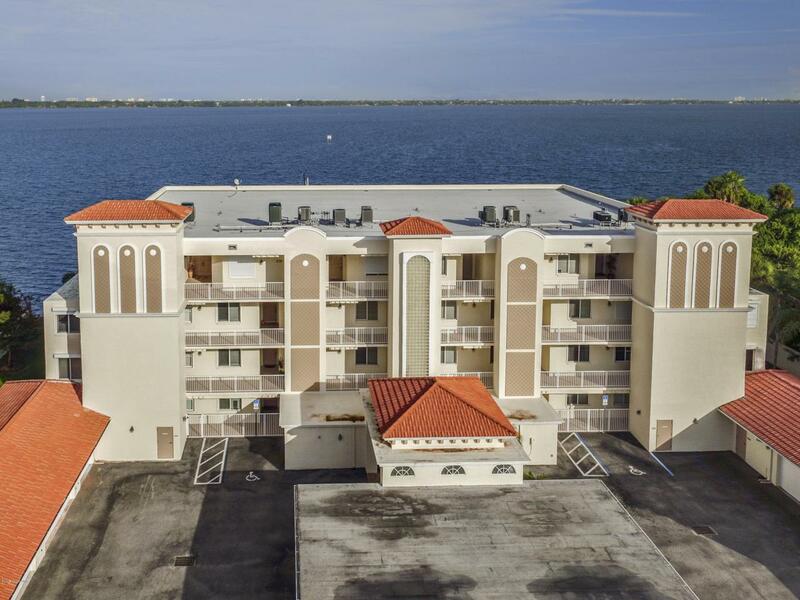 Live the Florida lifestyle in a 3 bedroom, 3 bathroom plus flex room or den. 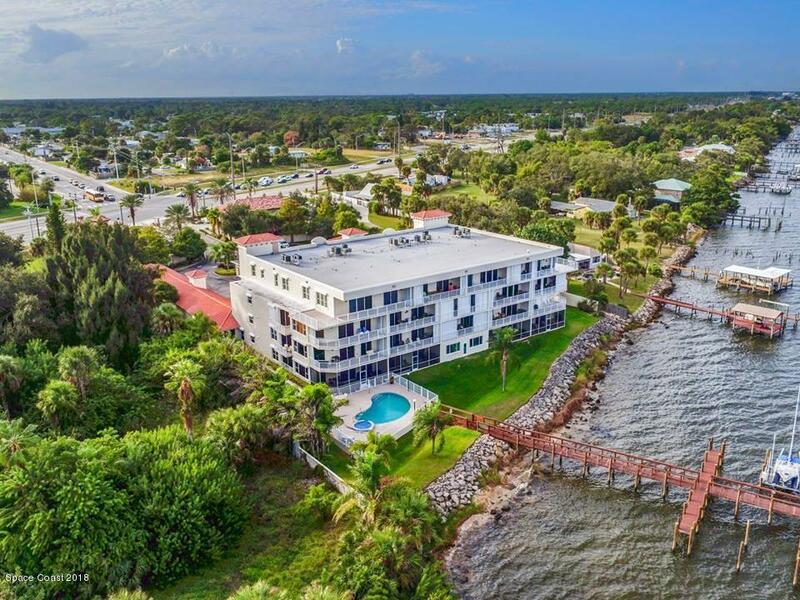 Large corner unit condo overlooking the Indian River with a 2 car detached garage! Doesn't get much better than this. Stunning condo with 9 ft ceilings, quartz counter tops, new stainless appliances, tile and Pergo flooring in the entire unit. Over 2300 sq ft of living space. Community dock, fishing pier, recreation room and pool/hot tub. 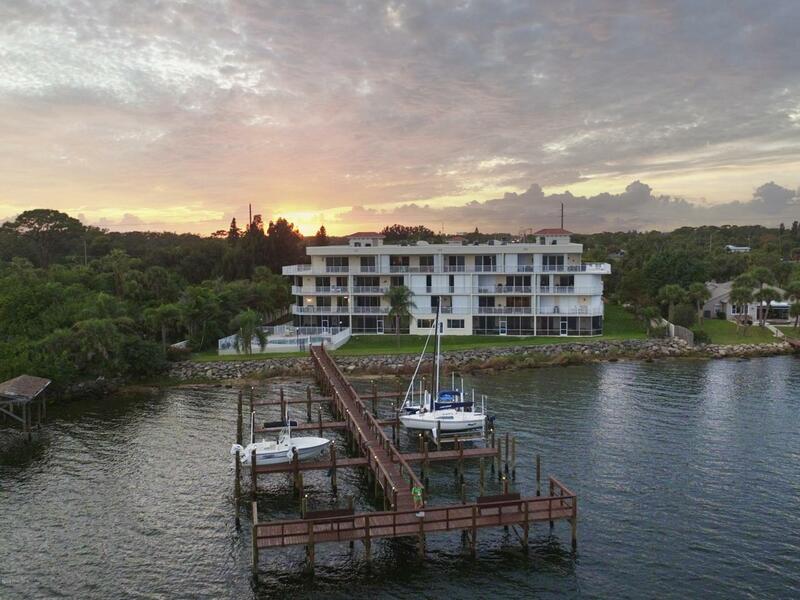 Don't miss this opportunity to wake up each morning to the beautiful Indian River. This is one of the nicest riverfront units on the market today. This unit has been nicely updated with newer vanities and it's also handicap and wheelchair accessible from the lobby to the master roll in shower. 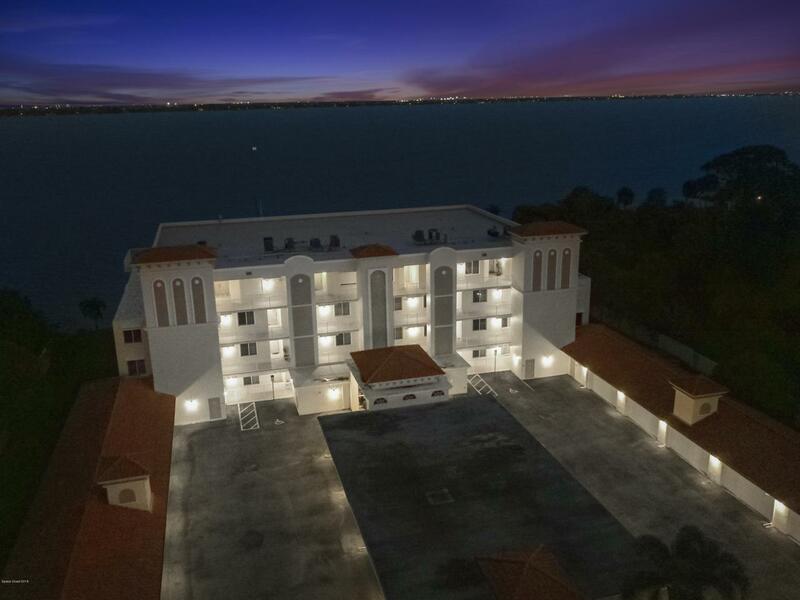 Great complex near everything and only minutes to the beach. Meticulous!